Majestic Malihabad: Time now to gorge on Mangoes!!! Time now to gorge on Mangoes!!! The people of Malihabad are as interesting as the Dussehri mangoes grown here. The frown on his forehead eases a bit as the old man moves for the kill. Check and mate. "Shatranj sharpens your mental faculties, but makes you an addict too," he tells anybody who cares to listen, evidently satisfied with the result of the game. This cannot be contested. After all, Padmashri Haji Kaleemullah Khan is the country's best known expert on mangoes. You could call Khan the ultimate aam aadmi ('Mango Man' - though correctly it translates as 'common man'), He has developed innumerable new varieties of mangoes. 300 alone grow on a tree, in his orchard at Malihabad near Lucknow, which is at least 100 years old (one of these he calls Sachin and another Aishwarya). So, under the shade of mango trees laden with fruit, the peace disturbed only by the chirping of birds, his judgment on chess goes uncontested. Of all the fruit we eat, mango perhaps is the only one indigenous to India. Soon, the mango crops, in all their splendid colours, flavours and shapes, will come to the market. First will be the Alphonso from the Ratnagiri belt in Maharashtra. Some time towards the end of May, Dussehri from Malihabad, long and sensuous, meant to be sucked and not cut, will hit the market. In a good year, it can fetch up to Rs 150 crore to the 8,000-odd mango growers of Malihabad. It is now sold to mango lovers in faraway Japan and United States also. Malihabad, one of the three tehsils of Lucknow, has several claims to fame. It was home to Urdu poet Josh Malihabadi (born Shabbir Hasan Khan, he was close to Jawaharlal Nehru; but he migrated to Pakistan in 1958 because he feared Hindi would kill Urdu) and tennis champion Ghaus Mohammed. Shyam Benegal's celluloid caper, Junoon, based on Ruskin Bond's A Flight of Pigeons and featuring Shashi Kapoor, Naseeruddin Shah and Nafisa Ali, was shot extensively in Malihabad. But it is the Dussehri mango that has put the village on the world map. The Malihabadi Dussehri was granted Geographical Indication registration in 2009. It now sits on the same exalted pedestal as Darjeeling Tea and Coorg Orange (Karnataka). The first Dussehri was grown some 150 years ago. That tree still exists, and locals say it is "in good health". There are about 2,000 nurseries here and almost 30,000 hectares under mango plantation. The economy of Malihabad runs on the Dussehri mango; it's the lifeline of the 17,000 people who live here, most of them Afridi Pathans. Legend has it that their ancestors came from the north-west in pre-British times to work as soldiers of fortune in the armies of local rajas and nawabs. In peace time, they took to farming and plantations. During 1857, several locals joined the mutineers against the forces of East India Company. The men here are sturdy and handsome, and talk fondly of the Pathan code of honour that revolves around revenge, hospitality and protection. One Malihabad hothead, Nabi Sher Khan, is known to have removed his eye to drive away the fly that was nagging it "Na rahegi aankh, na baithegi makkhi" (Where will the fly sit when there is no eye), he is said to have told his people. Now there is a new twist to their ancestry. According to research carried out by Navras Jaat Aafreedi, assistant professor in the Gautam Buddha University in Greater Noida, on the lost tribes of Israel, the Afridi Pathans have Jewish lineage. He started his research work in 2002 and, after his PhD from the Lucknow University in 2005, went to the Tel Aviv University in Israel for this work on the history of the Jewish people. "About half of the Pathans in Malihabad are Afridis who are one of the 10 lost tribes of Israel," he says. He prefers to call them Israelite meaning someone related to the ancient times in modern-day Israel which came into existence as a nation for Jews only in 1948. But that is the last of the worries of Khan and the other mango growers of Malihabad. Their problems are more mundane. "Production is falling every year and it is sad that aam(mango, pun for commoner) is becoming khaas (special). Falling production and the high prices will keep it away from the common man's plate," says Khan. 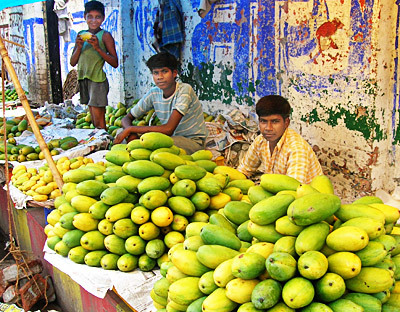 Last year, Uttar Pradesh had produced 3.5 million tones of mangoes. About 40 per cent of that came from Malihabad. This year, Dussehri prices will stay high. It may not be such a bad thing for the farmers though. But they insist profits are down because of the drop in yield. Bugs and pests are regular spoilers here, so are parrots and squirrels. A scientist in the Central Institute for Subtropical Horticulture at Lucknow says that mango trees have biennial bearing and a regular crop is always followed by 'shy bearing'. But farmers here say that, if the weather doesn't turn inclement, with proper care these trees can give a rich harvest every year. That way, they might end up over-flogging the trees. Scientists suggest the mango plantations in Malihabad be rejuvenated to secure future production. In the early part of the last century, almost 1,300 mango varieties are said to have been grown in Malihabad; this figure is down to 600-odd now. Apart from Dussehri, other famous varieties grown here include Chausa, Langda, Amrapali, Safeda, Husnara etc. Some growers rue that the fall in yields has driven their new generation away from the plantations. In the lucrative West Asian market, Pakistan is giving Malihabad a run for its money because it transports its fruit by sea, which works out cheaper than Malihabad mangoes which are sent there by air. Some sharp farmers have even begun to ask for a subsidy from the government to run their plantations! "There are no facilities or incentives from the government for the mango belts," All India Mango Growers' Association President Insram Ali says. 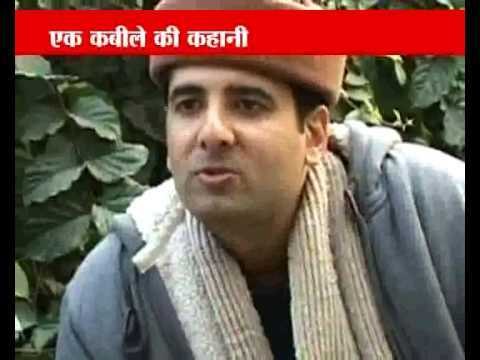 What is left unsaid is that farm income is not taxed in the country. Some threats are imaginary, some real. Malihabad is only 30 km away from Lucknow. Like most other cities, the Uttar Pradesh capital, too, has seen an explosion in population. Many people dread the day when the lush green mango orchards of Malihabad may have to make way for concrete and glass high rises. At the moment, it is business time in Malihabad. Several contractorscome to Malihabad, some local and many outsiders, some on bicycles and others on motorcycles and cars, to take part in the auction of the orchards. Exporters have already had trade enquiries from Japan; besides they will export mango to Dubai, West Asian nations and Singapore too. The sweet taste of success, and money, is unmistakable. The people of Malihabad are as interesting as the Dussehri mangoes grown here. The frown on his forehead eases a bit as the old man moves for the kill. Check and mate. "Shatranj sharpens your mental faculties, but makes you an addict too," he tells anybody who cares to listen, evidently satisfied with the result of the game. This cannot be contested. After all, Padmashri Haji Kaleemullah Khan is the country's best known expert on mangoes. Mango is most important crop in pakistan, Pakistani mango is exported to large number of countries in the world. Malihabad is famous city for the business of Mangoes.